When I had a get together for the Satyanarayana Pooja at my place last month, I have decided to cook everything at home and very traditional South Indian. My sister cooked stuufed kakarakaya and Gutthi vankaya koora, both are instant winners and I have few requests for the recipes of these two. 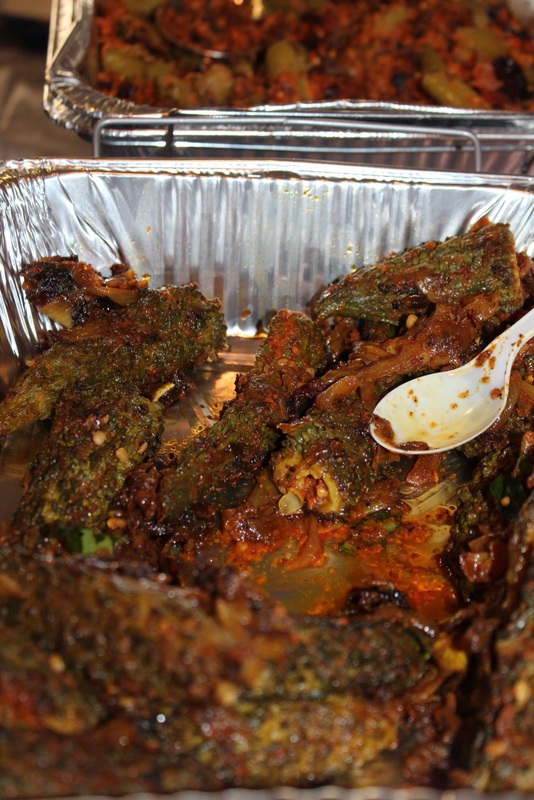 Cut the karela into halves and make a small dent in the middle of each piece which could be used to stuff the onion karam later and boil them in water with some salt added to it. Make sure to add salt for the karela pieces to absorb salt. 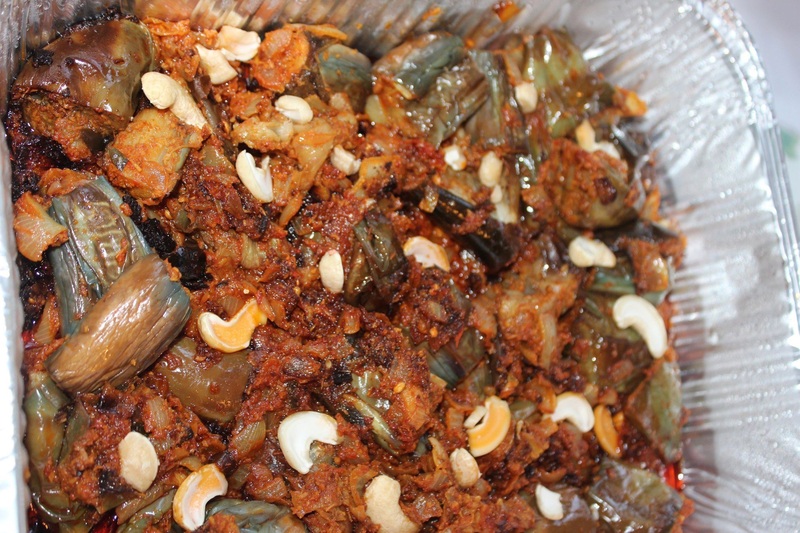 Boil them until the green color of the karela turns into little dark color. Drain all the water and leave the pieces for a while until they become dry. Grind the garlic chutney powder, one to one and half onions (cut into pieces) and red mirchi and little salt into a paste and stuff little bit of it into each piece. Put some oil into a pan, add some turmeric powder and add these karela pieces and cook them for a while, once they get little cooked, add any of the onion garlic paste leftover to it and cook for some more time. Make small pieces of the rest of the onions and spread them over the curry and cook everything for some more time. Add enough oil so that everything gets cooked well. Sauté some urud dal separately and add it the curry almost at the end so that they would be little crispier.